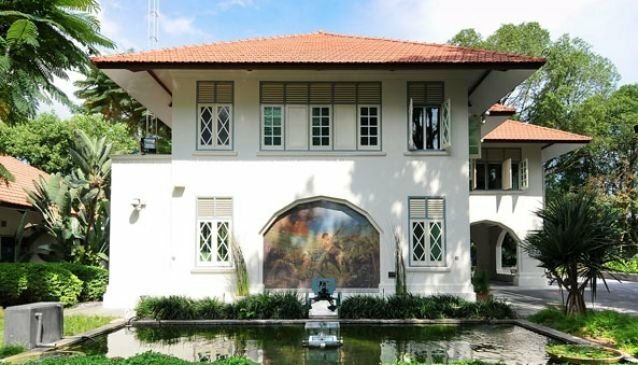 On top of the hill, overlooking the battle area of Pasir Panjang, lies the beautiful black-and-white bungalow that houses a museum, recounting the historic event of Feb 13, 1942 through audio-visual installations, pictures and artefacts. Certainly worth a visit and a lovely combination for a weekend-stroll through nearby Hort Park and Labrador Park. Labrador Park is a beautiful park and ideal for family outings or romantic strolls. Both adults and children like to explore the Labrador Battery built by the British to defent Keppel Harbour in the 18th century. There is also a 280-m Canopy Walk, part of the Southern Ridges trail, that offers great views and a relaxing walk. HortPark is just a short stroll away from the museum. Children will love the playground and adults the art installations and sculptures scattered throughout the park. There is also a lovely restaurant and a visitor centre.